NO.208, Dongxi Industrial Park, Wucheng, Jinhua, Zhejiang, China. It's powerful Touchless Car Wash Powder, high-efficiency remove dirt, grime, shellac, ornithocopros and etc, leaving car surface sparkling clean, preserving wax finish. It offers excellent cleaning ability, dissolves instantly in hot or cold water. Environment eco-friendly! Ideal for washing various vehicles. No need pre-washing and sponge wiping, Saving water and labor cost! Could wash over 40 vehicles only take one bag 500g powder. Avoid scratches during the car washing. Increase the glossiness of automobile. SGS, TUV, CNAS approved Eco-friendly Car wash powder. 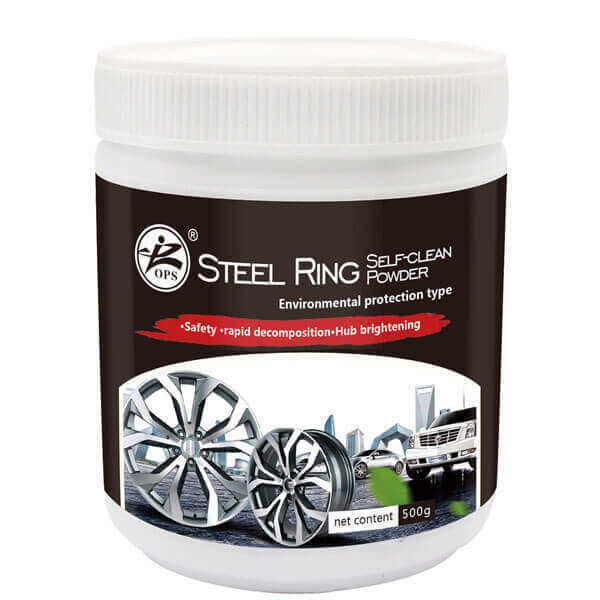 Cleaning the wheel hub does not require a professional sprinkler head and water gun, manual scrubbing is also possible and clean.The OPS steel ring self-cleaning agent has special effects on oil stains, metal oxides, brake powder, iron powder, carbon deposition, etc., suitable for various wheel hub surfaces! Rapid dissolution and the foam is abundant. It contains a variety of surfactants, which can be dissolved in water quickly. 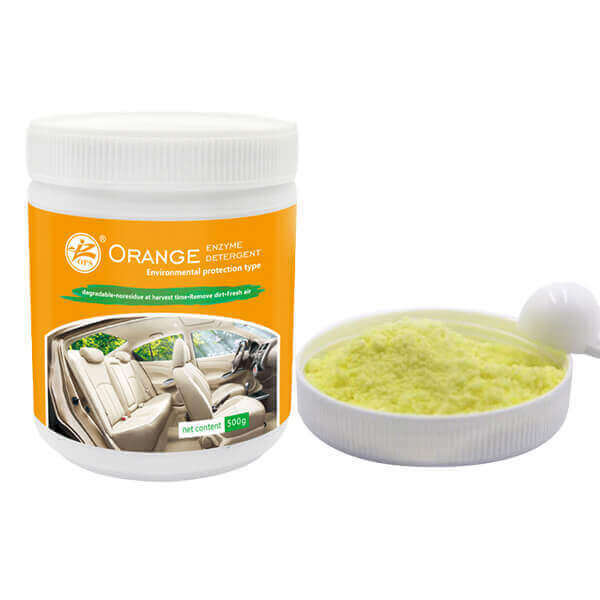 Biodegradable car cleaning product, not take any harm for health. Wash and wipe can quickly remove dirt, simple and convenient. Using natural and ecological enzyme to extract citrus oil which is a plant biodegradable product without residue, it is applicable for effectively removing all kinds of stubborn stains inside and outside of the vehicle or household with good effects in cleaning and removing peculiar smells. Strongly remove dirt, bring fresh air for vechicle or house. 500g powder packed in one foil bag or plastic box. A scoop of orange enzyme detergent could equal to 500ml cleaning water! Convenient to use and easy to keep, you're good cleaning partner! Compact Car Windshield Effervescent Cleaning Tablets, more advanced production technology, improved formula of the washer tablets. A piece of effervescent cleaning tablets can be exchanged with 4L of windshield wiper fluid, According to the normal volume of the liquid storage tank, it is a piece of water, which can replace and be superior to traditional glass water! Effectively remove all kinds of stubborn stains with excellent effects. Biodegradable car windshield effervescent tablets, no chemical bleach. It is very easily remove the glass oil film and insect traces. This product is a high-performance cleaning agent. It can use in all season, especial in Winter. 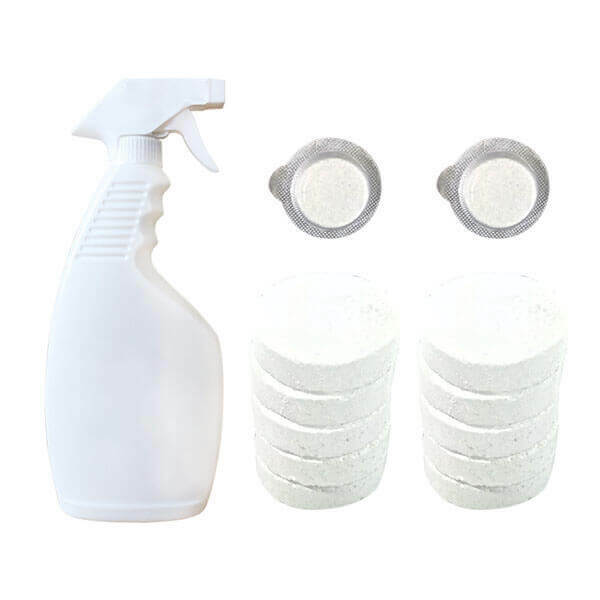 Spend less money on home cleaning products with a Multifunctional Effervescent Spray Cleaner Set! These amazing capsules will effectively, quickly fizz and removes clothing stains, kitchen range hood stains, bathroom tiles stains, indoor furniture, lamp shades, carpets dirty and so much more in just a few minutes! leaving your house or car beautifully shiny! spray and clean it, good performance to remove any stains. Deeply clean and keep fresh for a long time. As well as prevent bacteria from breeding in house or car space. Use biological enzymes to decompose stains to achieve a clean effect. With more eco-friendly, safe and non-toxic! No chemical bleach even can be used cleaning pet stains without harm. Amazing exterior, interior car cleaning products, car wash products wholesale, car detailing product suppliers. 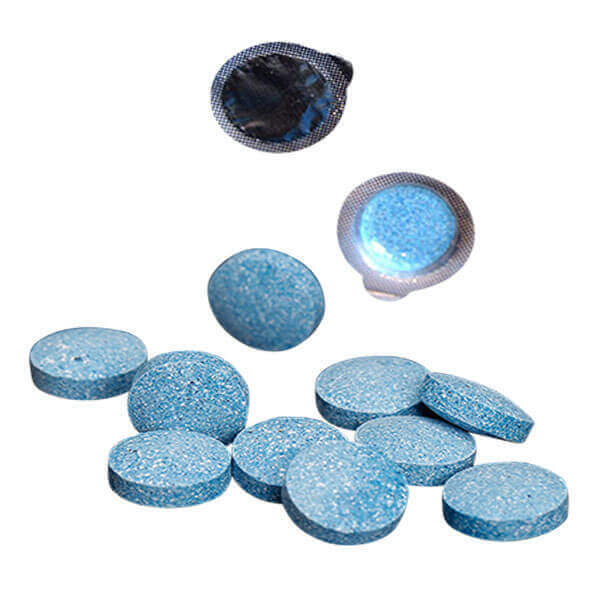 Multifunctional effervescent cleaning tablets using in household or vehicle.